It is really big, and it feels really peaceful. The breakfast buffet is super, many choses and tastes great. Where to find Geldrop hotels near an airport? 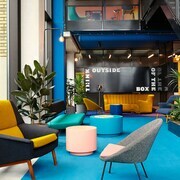 Where can I find hotels in Geldrop that are near tourist attractions? 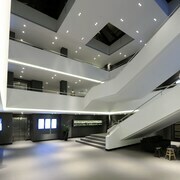 If you are deciding on where to stay in or around Geldrop, there is a broad selection of comfortable options. Expedia's up-to-the-minute database lists 27 places to base yourself within 0.1 kilometres (0.06 miles) of downtown Geldrop. 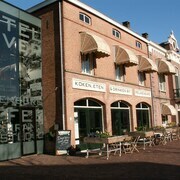 The more central lodgings of downtown Geldrop are the Hotel Nijver and Hotel de Gouden Leeuw. 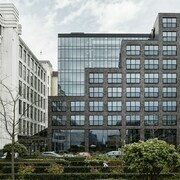 35 kilometres (22 miles) away from the middle of Geldrop, is the Golden Tulip Hotel Central. 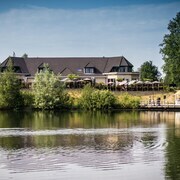 The Movenpick Hotel - Hertogenbosch can be found 30 kilometres (20 miles) away. 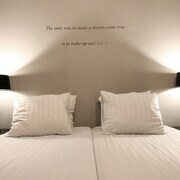 More places to stay here are the Hotel Restaurant la Sonnerie and the Best Western Euro Hotel. Spend some time exploring Stedelijk Museum and St. John's Cathedral, which you'll find in 's-Hertogenbosch, 35 kilometres (23 miles) to the northwest of Geldrop. If you'd like to stay in 's-Hertogenbosch, check out the room rates at the Van Der Valk Hotel 's-Hertogenbosch and Fletcher Hotel-Restaurant's-Hertogenbosch. 50 kilometres (31 miles) to the west of Geldrop, you can also stay at Molenschot, which is home to the Campanile Hotel Breda and Premiere Classe Breda. The Kids Wonderland and Princenbosch Golfclub are just some of the more popular sites to experience while in Molenschot. Why not spend a few hours rubbing shoulders with Eindhoven - East Brabant sports enthusiasts at a local match. Ahoy Rotterdam is 90 kilometres (56 miles) to the northwest of Geldrop. Sleep close to the action at the Mainport or the Hotel New York. If you are planning on arriving via Eindhoven Airport, you might like to book some accommodation at Novotel Eindhoven, or NH Best, both of which are close by. Explore Geldrop with Expedia.ca’s Travel Guides to find the best flights, cars, holiday packages and more!